What if you had some "magic words" that would simplify parenting issues - meltdowns, fights, defiance? While it's not exactly magic, a book I got to review, Now Say This, can really help parents who are striving to find ways to solve common parenting issues. One of the biggest ways to get kids to respond to discipline is consistency. 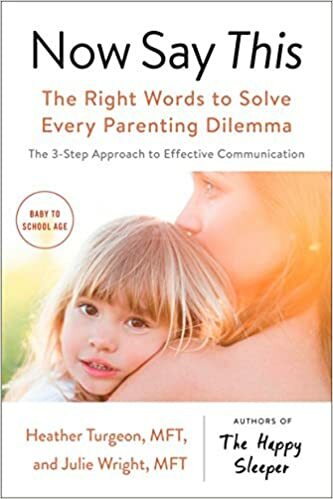 This book can help provide parents with a "script" of course for certain situations, which can make it easier for parents to be consistent instead of reacting in the heat of the moment. It even addresses body language so kids can see the meaning behind the words as well. I like that the book helps parents be more positive and avoid yelling, threatening, shaming - or giving in. It's also research-based and written in a friendly tone, like one parent to another. If you have common pinch points in your day that you're looking to solve, this book can be a great resource.